Someone ought to send a Whatsapp to the diplomats who deliver high-sounding pronouncements in those endless United Nations debates searching for peace and enhanced human dignity and refer them to the video clip below. It's new and focuses on a UN agency that is actually doing far more in relation to peace (?) than all those speeches put together. Trouble is, what the UN agency in question is doing in relation to peace is the exact opposite of seeking peace or making peace happen. 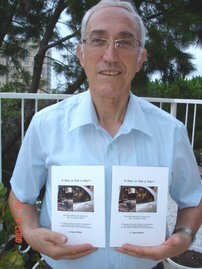 It may, in fact, be the single most effective organization in the world for ensuring the death and misery on both sides of the Arab conflict with Israel continue. That agency, funded almost exclusively by Western countries to the tune of $1,200 million annually, is called UNRWA, the United Nations Relief and Works Agency for Palestine Refugees in the Near East. Its continued existence, nearly seventy years after it was set up as a temporary fix for a relatively small problem, is part of a bizarre narrative in which a legion of UN insiders keep marketing it as being part of the solution when in reality it is a core and essential component of the problem. 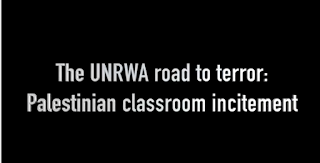 Anyone sincerely concerned to save the lives of the children who appear in this video will immediately appreciate that something is seriously, lethally wrong with the entire UNRWA operation. The fact that its official spokesperson has a penchant for ad hominem attacks on its critics (including nasty and largely misleading dismissals of the individuals behind the making of the video itself) is part of the problem. A non-trivial part, but just a part. This plot has many villains. Diplomats and public officials of every one of the countries that pay lip service to what UNRWA does without facing up to the ongoing catastrophe that it perpetuates are as culpable as UNRWA's spokesperson and its 30,000 (yes) school principals, teachers and staff people. 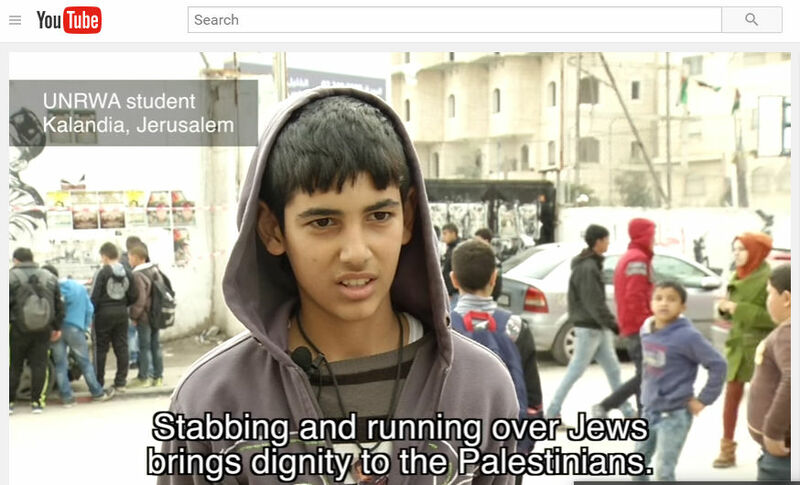 There is no hope for peace until what UNRWA does daily is understood and stopped. All bodies in the United Nations are controlled by Islam and until Trump comes to power and stops all this misinformation and sabotage it will continue. IN fact under Clinton it will grow until soon we will all be at war with Islam. Think about it as our choice of civilization is at a mile post and we have to decide between good or evil.Look how far Islam has come in the USA with the President being the main motivator of a caliphate whilst he smiles as a fake christian.